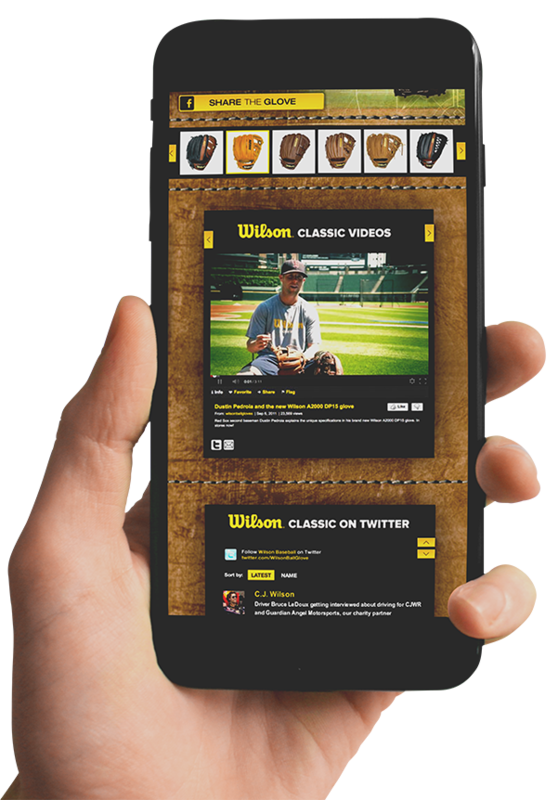 Right after Wilson Baseball awarded us as their AOR, they challenged us to showcase our skills as a social media agency. Challenge accepted. First, we launched an in-depth social media audit for the brand that revealed key insights and paved the way for our social media strategy and content marketing plan. Once the plan was set, the execution involved around-the-clock social media execution, campaign development, contests & promotions, app development, media planning & optimization, and of course, the production of a over 75 videos featuring athletes like Dustin Pedroia and Clayton Kershaw that generated millions of views. The Armory went to work producing videos highlighting various teams, products, technologies and programs. This involved employee, athlete and expert interviews as well as custom after-effects and specialty camera systems including a Phantom Gold setup shooting at 10,000 frames per second. We knew we had to really bring our “A”-game in order to take an iconic brand like Wilson to the next level. 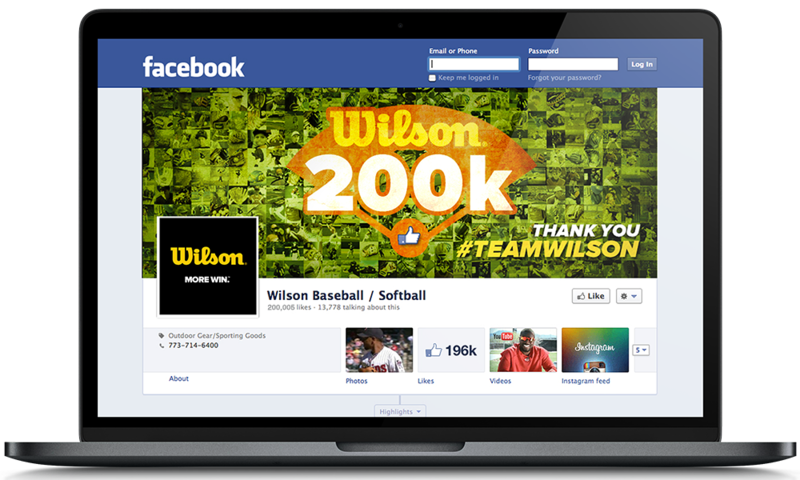 And that’s just what we did—completely revamping and resetting Wilson’s social media identity, growing their fanbase, engagement and lead generation to best-in-class levels. This was achieved with top-notch content planning, community management, app development, advertising strategy, and a lot of old-fashioned teamwork. The Armory programmed and launched custom social media experiences within Facebook’s environment in order to optimize data capture and conversion. 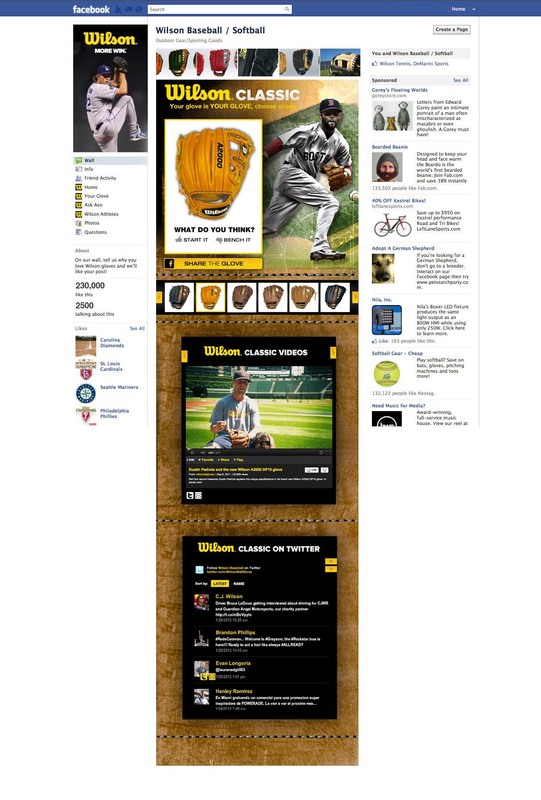 This included a ‘build-your-own’ glove customizer that allowed the user to custom design their glove however they wanted.